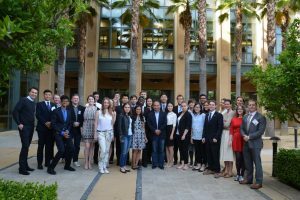 Learn more about the Stanford U.S.-Russia Forum and how to apply at http://bradleyherald.org/opportunities/other/. 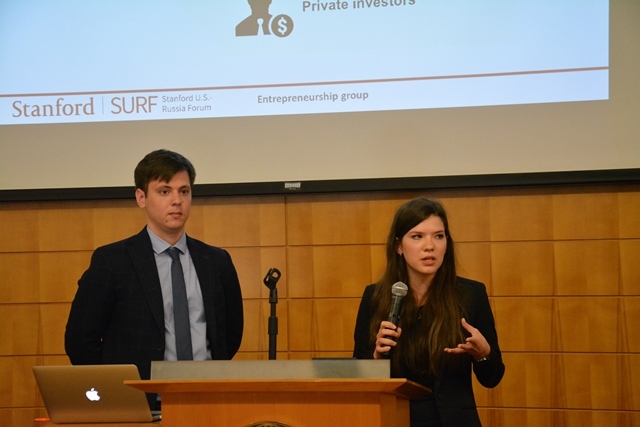 In 2016, FLEX alumnae Liya Khalikova ’10 and Anastasiya Yushchenko ’11 took part in the Stanford U.S.-Russia Forum. Each year the program brings together forty students from the U.S. and Russia who, over the course of eight months, do research in the fields of possible cooperation between the two countries in fields such as business, science, biosecurity, and civil aviation. The program promotes collaboration between American and Russian students and encourages them to develop creative ideas to improve U.S.-Russia relations. Almost annually, FLEX alumni make up part of the Russian cohort of this program. ‘I found out about the forum on the very last day, just hours before the deadline, and rushed through the application. Fortunately, I was selected for the next round and after passing all three stages of the application process, was invited to the program. I couldn’t have been more excited!’ shares Anastasiya. Prior to the opening conference in Russia all of the participants had been divided into ten working groups based on their expertise and interests. Anastasiya chose entrepreneurship while Liya and her team focused on online counter-extremism work. Anna’s group concentrated on the joint private sector and infrastructure projects in the Russian Far East. ‘As a graduate of the Department of Political Science, I’ve always been interested in the U.S.-Russia cooperation in the Middle East and this group suited me really well. In the course of our research we tried to identify non-military ways to effectively counter ISIS propaganda through social media and digital technology. It was difficult to find experts on the topic in Russia, but we managed to interview some specialists,’ says Liya. The opening of the program took place in Moscow in September 2015. Students attended meetings, including one with Russian Deputy Prime Minister Arkady Dvorkovich and U.S. Ambassador to Russia John Tefft, and started their research projects in groups. In 2015, for the first time, participants visited the Siberian city Tyumen at the invitation of the Government of the Tyumen Region. ‘I’d never been to Siberia before and couldn’t wait to go. In Tyumen we were very well received and shown around,’ remembers Liya. 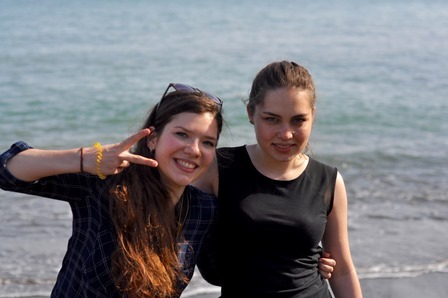 While in Siberia Anastasiya’s group had a chance to do research on the role of business in regional Russia and the state involvement in entrepreneurship. To Liya, the trip to Tyumen brought understanding of how the federative connections between Russia’s regions and the capital work in practice. The conference in Russia was followed by months of research and online communication in groups. 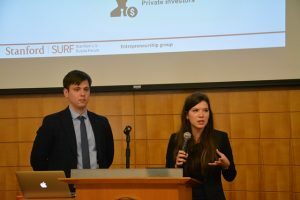 The participants came together again in April 2016, this time in Stanford, CA where the groups shared their research findings with the others. Studying the countries’ approaches and specific cases, Liya’s group prepared recommendations on possible collaboration in the sphere of online counter-extremism. ‘In our opinion, both countries should raise awareness about the dangers of online recruitment more effectively. In Russia a lot of information is not shared with the public and people aren’t always aware of possible risks. The public thinks that recruiters try to engage their victims in extremist activities immediately while in reality they often communicate with targeted people online for years’. 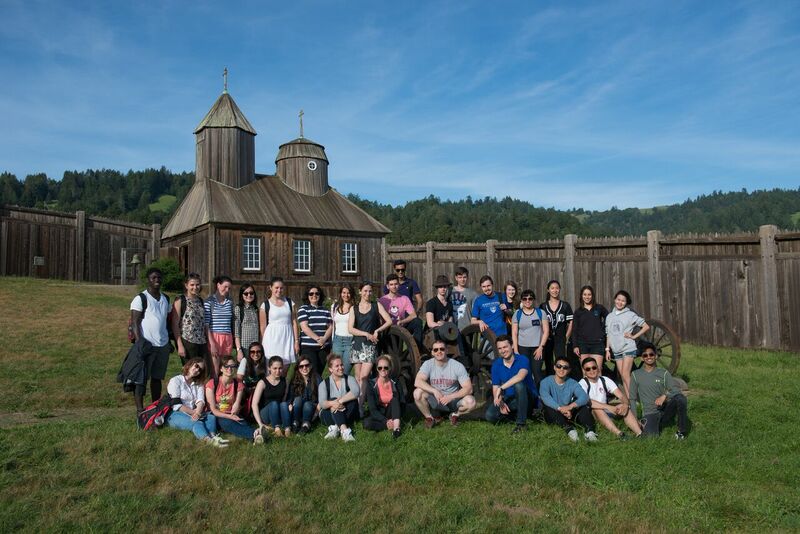 Besides giving and listening to final presentations, while in Stanford the participants attended lectures with American experts and visited the historic Russian settlement Fort Ross. There they had a chance to get involved in community service projects and learn more about the history of the U.S. and Russia relations. Half a year after finishing the program both FLEX alumnae are continuing to deepen their knowledge in the selected fields. Liya has since been accepted to the Fulbright Program and is now studying International Political Economy and Development at Fordham University in New York. She believes that access to education is essential for global prosperity. ‘If all young people had equal access to education and cultural exchange, the world would be in a much better place than it is nowadays. The FLEX program showed me how important it is to work collaboratively and learn from each other. I plan to continue exploring possible approaches for cooperation between the U.S. and Russia and in the future hope to work in the field of International Development,’ she says. Having successfully graduated from the university right after the forum, Anastasiya is now working at Deloitte as an Audit Assistant and is keen to learn more about investment frameworks in Russia. ‘Cooperation between Russia and the U.S. in the field of business and finance is greatly beneficial for both countries. Of course young people cannot change the course of high-level politics in a day, but we can influence its development by promoting collaboration and leading joint initiatives on a grass roots level,’ she highlights.